went to rust in the rain. 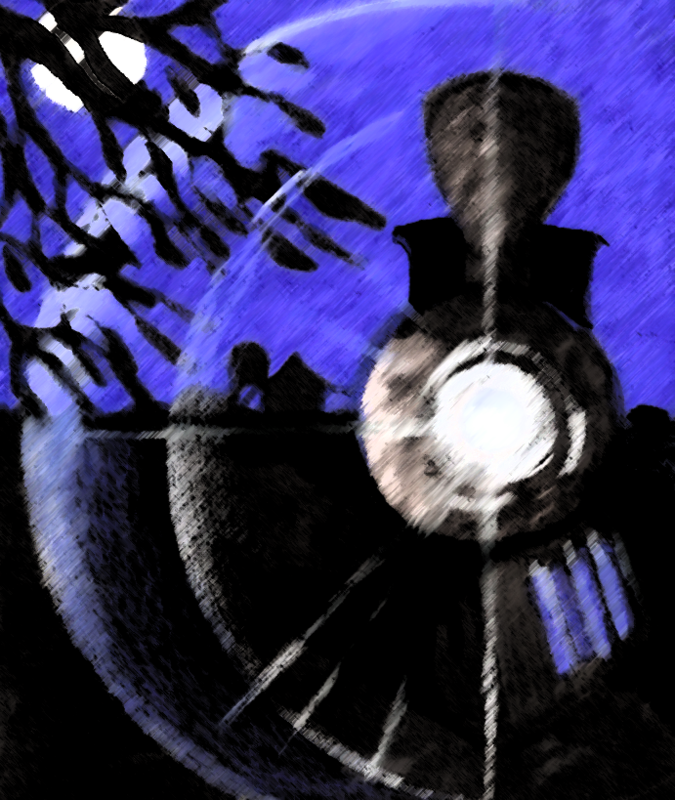 This entry was posted in Poetry and tagged eerie poems, ghost trains, poems about trains, trains. Yes! The last two lines, especially. I liked that! I love the way you can rhyme without it seeming forced or tacky like most poets. Love the illustration, too! PS. I’m glad you think I’m good. 😀 (The illistration had me worried. fabulous imagination. ghost trains, ghost ships and ghost towns always give me a shiver- they are a bit unsettling are not they? you are right. they are alluring too. so when i the adventurers of horror movies i can understand that imp inside that lures them. that image you added with the poem is haunting. I’m glad you liked my drawing too. i will die from pleasure if i can create a painting like that. its just fantastic. death and danger holds magnetic attraction. They say that Curiousity Killed the Cat. extra details. Simplifing the picture. darkness is tough to paint, if you can master it then it will give you a magical painting. What a fascinating story! Well done indeed! Great little story, put together as a lovely poem. Strange, beautiful, mysterious, thoughtful. The illustration complements the words quite beautifully. Like a lot! I like the use of symbols. I like the open read. I like that I can put my own thoughts into what I see. Great work! only magic, happens at night. Your making up for lost time I see. I will try to relax this weekend. I could see how much history that train holds … 🙂 Love the poem very much. all the best for your upcoming venture!